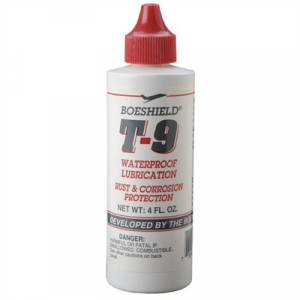 Boeshield T-9 Aerosol Chain Lubricant, 12 Oz. 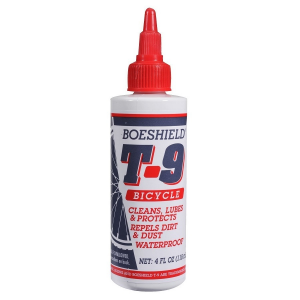 Boeshield T-9 Bicycle Lubricant - 4 oz. Boeshield solvent and paraffin wax formula penetrates, cleans and displaces moisture.